To mark the 400th anniversary of the Pendle witch trials – and in the week of All Hallows, ghouls, ghosts, witches, wizards and those things that go bump in the night – writewyattuk looks at two new children’s/young adult publications with witchcraft at their heart. One offers a fresh interpretation of the famous 1612 Lancashire court case – aimed at younger readers – and the other a modern twist on the theme for the YA audience – this time set just across the Yorkshire border. Manchester author Livi Michael’s fictionalised version of the legend of Old Demdike and her extended brood brings to life for the modern young reader a powerful parable of good and evil and how those lines can so easily blur. The story of East Lancashire’s Device family and their downfall via the infamous Lancaster Castle trial of 1612 is re-told in simple but effective form, pitched at children but proving absorbing for all ages. 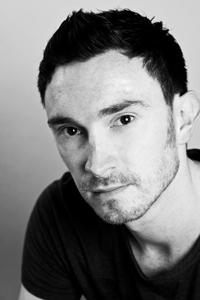 Michael’s tale, commissioned by the Lancashire Literature Festival, is based on Thomas Potts’ notes as clerk of the court in the trial, brought under the zealous rule of King James I, the dark art-fearing monarch recently celebrated in religious circles as the man who helped bring us the modern bible. Potts’ account, told in The Wonderfull Discoverie of Witches in the Countie of Lancaster, is given a 21st Century treatment here, yet the fact that this witch hunt remains so resonant 400 years on is key – offering a window on a world not so different from ours, its depiction of moral dilemmas and the yardsticks of right and wrong just as relevant in 2012. Malkin Child is told from the viewpoint of youngest daughter Jennet Device, following her journey from impoverished childhood in tumbledown cottage Malkin Tower at the foot of imposing Pendle Hill, to the outcome of the Lancaster court case. Michael vividly sets the scene, with our subject in a one-room windowless hovel with leaking roof, bare dirt floor, its walls black with smoke from the fire that brews up the broth and ‘keeps our Granny’s old bones warm’. This is no warm and loving upbringing, Jennet’s mother strict and severe and the Device children forced to somehow bolster the family’s fortunes. We soon learn that the youngest child is not of the same stock as her siblings – having a different father, one she dreams may one day return. Jennet’s is a world of mad grannies, gizzards, gruel and powerful demons only true witches can see, where the trees murmur and whisper, but we soon see her world crumble and her innocence capitalised upon by evangelical authorities. The family’s fall follows a curse upon a passing pedlar, Jennet’s sister Alizon seeing red after being verbally abused while begging, in turn wishing ill upon the travelling trader. Yet it appears to be a unexpectedly potent curse, her victim falling ill on the spot, setting into motion a chain of events leading to the Devices’ demise, incarceration and far worse. As word spreads, Alizon is called before the Justice of the Peace on suspicion of witchcraft, the first of the arrests that finally see Jennet taken into care, her God-fearing guardians making it their mission to denounce her kin as witches and save her soul. Jennet is introduced to a life of riches, decked out in brand new frock and shoes, transformed into her new master’s good and clever little girl – seemingly a million miles away from Skinny Jen, the Malkin Child who can’t get anything right and can’t even do spells. Our protagonist is taken into confidence and encouraged to give enough anecdotal evidence of her family’s practises and lifestyle to denounce them and see them hang, a devious offer to help ‘save’ her family ultimately sealing their fate as she learns the phrasing she believes will set them free – a small price for access to a world of fine clothes, proper meals, warm surroundings and the kindness of strangers. The final straw for Jennet comes as she is so bitterly disowned by her mother in court – setting into motion a semi-conscious decision to tell all and sundry the ‘truth’ about her home lifestyle, in words carefully rehearsed with her master before the court sessions. That sense of betrayal is then later repeated as Jennet is let down by those guardians she grows to trust. In essence, Malkin Child is not only a tale in which a young girl’s innocence helps decide the fate of her family in dark times, but also a reminder of the power of words as testimony. And it is to Michael’s credit that we ultimately feel Jennet’s sense of betrayal, with genuine sympathy for all she went through at the hands of her family and those so eager to bring her salvation. 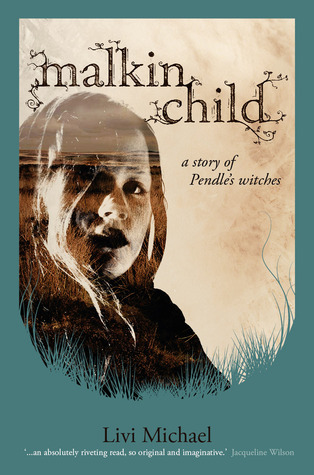 Malkin Child – A Story of Pendle’s Witches by Livi Michael is published by Foxtail, an imprint of Litfest Publications, Lancaster, in a special hard cover at £8.99, and available from all good booksellers. When Lis London leaves her mum in Gwynedd to join her grown-up sister in the Yorkshire Dales, she hopes to escape a culture of high-school bullying. But Lis’s fresh start is not all it seems, and there’s something familiar in the remote setting of Hollow Pike, an area where her family has long-held links, the teenager soon facing new friendship issues and embroiled in a murder investigation. In North Wales, Lis suffered ever-more elaborate nightmares in which she found herself covered in blood struggling in a red stream, hair matted to her face amid freezing rain and howling wind, hearing distant frenzied screams. That jigsaw of jarring images continues as she moves to Hollow Pike. Furthermore, the moment she arrives at her sister’s rural base her surroundings seem strangely familiar. 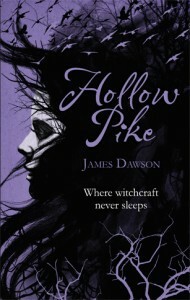 West Yorkshire author James Dawson’s Hollow Pike is as much about growing up, individuality and self-confidence as it is a murder mystery, macabre adventure and allegorical spin on age-old tales of witch hunts. The teacher-turned-author clearly knows his audience well, painting a vivid picture of his characters, giving valuable insight into high school life and all the pressures surrounding young adults struggling to find their path in life – not least the importance of fitting in rather than standing out among the crowd, and ultimately surviving school – something much of his target readership will recognise and empathise with. 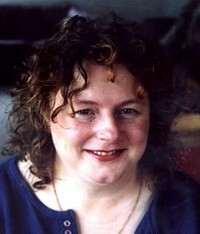 Within Hollow Pike, Lis lurches from one bullying nightmare to another while trying desperately to find her place in her new setting, but is perhaps inevitably drawn towards her school’s own circle of outsiders, putting her into conflict with the gang of girls who first latch on to the ‘fresh meat’ in town. She soon finds comfort in a good-looking teacher and her oddball head, and then with a geek-turned-sporting star and a clique of like-minded classmates associated with the dark arts – caught up in the dilemmas of friendship that girls and boys alike will recognise only too well. There are elements of Arthur Miller’s The Crucible and its metaphor for modern-day witch hunts here, while the Pendle witch trials of 400 years ago are clearly another major inspiration. Yet while a few of the teenage issues involved may see parents ward younger readers away, Dawson treats his themes with care and wisdom. In short, anyone who’s ever struggled to fit in at school and build confidence among their peers will find kinship here, and the author clearly has story-writing craft on this evidence. And the genuinely (at least implied) gruesome moments and page-turning pace will no doubt ensure Hollow Pike is a hit for high-school readers and adults alike. Hollow Pike is published by Indigo, part of the Orion Publishing Group, and is available from all good booksellers, priced £8.99 in paperback. This entry was posted in Books Films, TV & Radio and tagged Hollow Pike, Indigo, James Dawson, lancashire, Lancaster, Livi Michael, Malkin Child, Pendle, Witch Trials, Yorkshire. Bookmark the permalink.